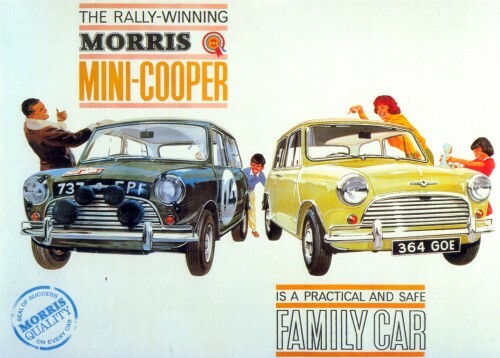 Morris Mini Cooper 'S 1000' Saloon – one of a number of Cooper variants was introduced in April. This version features a 970-cc engine which develops 64 bhp at 6500 rpm.The 'S 1275' and Mini Cooper (998-cc) models are also available. The previous Mini-Cooper 'S' (1071-cc engine) and Mini-Cooper (997 cc), introduced during the previous years are now discontinued. Austin versions are also available. 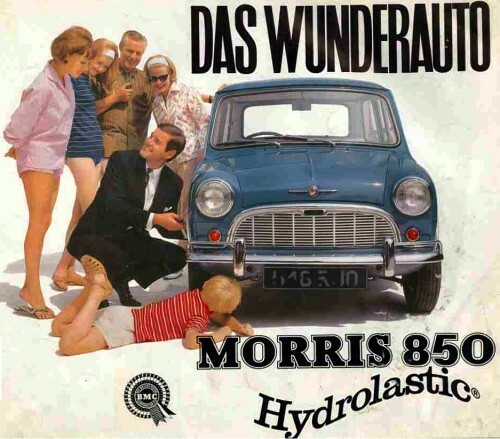 In 1964, the suspension of the cars was replaced by the hydrolastic system. The new suspension gave a softer ride, but it also increased weight and production cost. All the B.M.C. Mini range are now fitted with the Hydrolastic suspension of the 1100 range and various other minor modifications. 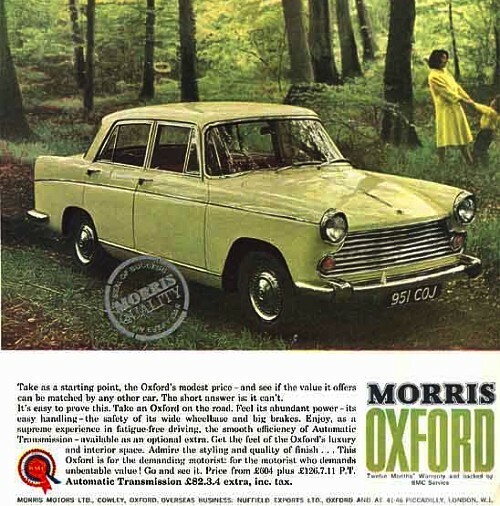 This highly popular range continues with a number of changes, including modified sidelamp units front and rear, improved windscreen wipers, and on two-door models a near-side door lock. The Morris/Austin and M.G. 1100 series now have diaphragm spring clutches and an improved heating. 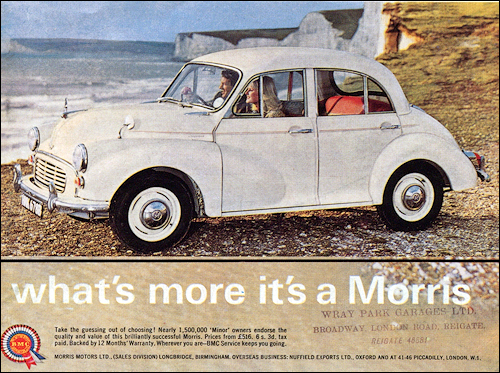 The Morris 1000 has a restyled interior, including the facia, and the seats are said to be more comfortable. The first prototype of this lightweight all-terrain vehicle was built at Longbridge in January 1959 to underwent trials at Fighting Vehicles Research and Development Establishment. 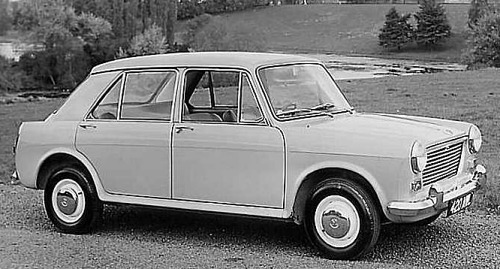 In 1960 short wheel base version appeared and two more were built in 1961 first shown at the FVRDE-SMMT exhibition a year later. 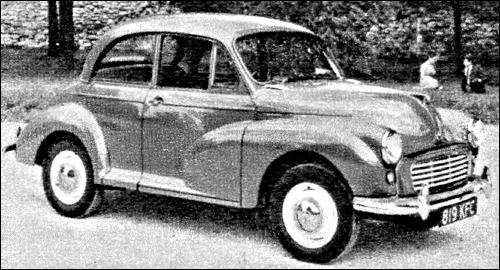 Double-engined 'Twini-Moke' was shown to the press in January 1963. All this effort however proved to be failure and the wehicle didn't make it into military service.